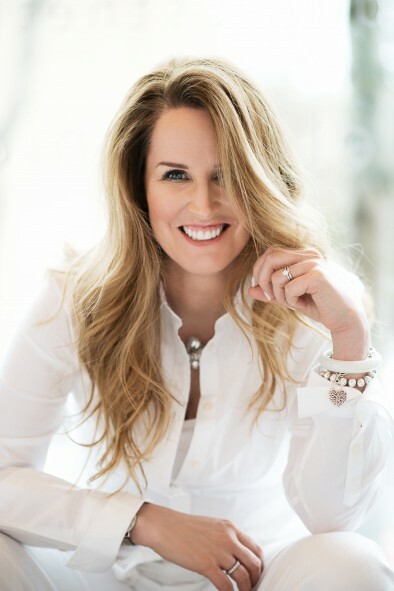 Jennifer Brodeur is a Montreal-based skin strategist, and the the Founder and CEO of JB Skin Guru, a skincare company that values authentic beauty, and using wholesome ingredients. Jennifer is proud to be the trusted skin strategist for some of the world’s most powerful women, including Oprah Winfrey. Her newly created skincare line, Peoni™, was recently listed as one of Oprah’s Favorite Things, as seen in the highly anticipated December issue of O Magazine. We sat down with her to find out more about the line, get her reaction to receiving Oprah’s seal of approval, and ask her for a few cold-weather skincare tips! TW: Tell us about your reaction when you first found out your skincare line Peoni was selected for Oprah’s Favourite Things? JB: Elated. I felt a sense of accomplishment. I had to lay down on the ground to take it all in. Then I got back up and made it happen. TW: Can you share how JB Skin Guru came to be? JB: It was the nickname Oprah Winfrey had given me when I first started working on her skin. It just stuck, and I love it. TW: In a recent interview, you said that your goal in creating Peoni was so if you have dinner with David Suzuki, he’d feel good about the ingredients that are in your product. Can you tell us a bit more about the products in the Peoni line, their natural ingredients, and the effects it has on users’ skin? JB: Nettoyant contains green tea and organic aloe juice. It is effective, refreshing, nourishing and brightening. L’essence contains willow bark and grape seed extract. It rejuvenates the skin, encourages cell turnover, stimulates circulation and makes skin radiant. L’extrait contains peony root, sunflower oil and licorice root. It is healing, anti-inflammatory, repairing, anti-bacterial and gives glow. La crème contains vitamin B3 and B5 and Peony seed oil. This light but powerful cream is anti-aging, firming, balancing, protecting, improves elasticity and fights against environment damage and premature aging. TW: Do you have any general skin care tips that you can share with Canadians heading into dry winter weather? JB: Use a cleanser that doesn’t strip the skin, followed by a quality moisturizer that will dose the skin with lipids and reinforce its protective barrier. Also look for natural humectants, such as aloe, hyaluronic acid, proteins and amino acids. Not only will they help attract moisture to the surface of the skin, but they also deliver moisture and nutrients to the deeper layers, as well. This helps skin to keep itself hydrated on a regular basis. Avoid hot showers and long baths and look for products that don’t contain alcohol. Use a humidifier to replace the moisture lost from the air. For more information and tips, visit JBSkinGuru.com.